Mpumalanga is divided into three district municipalities. The province also has 17 smaller local municipalities, each falling under one of the district municipalities. 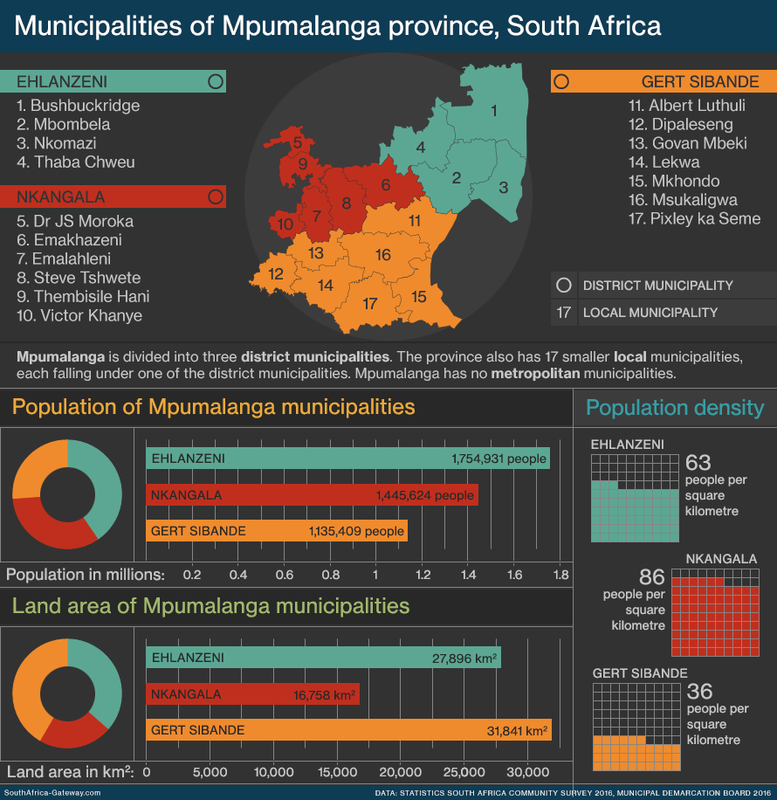 Mpumalanga has no metropolitan municipalities.